When most of us think of diamonds, we think about the beautiful, sparkling, faceted gemstones which are polished and set in jewelry. We picture engagement rings or famous gemstones like the Hope Diamond which are displayed in museums for all to see and enjoy. What you may not know however is that the majority of diamonds which are mined never end up set in an engagement ring, necklace, or tiara. Most of them actually end up being used in various industrial applications instead. Just how many more diamonds are used in industry than in jewelry? According to the World Diamond council, only about 30% of diamonds are considered to be of gem quality. Only those diamonds end up being used in artistic settings. The remaining 70% instead are used for purposes like cutting, drilling, polishing, and grinding. Diamonds have a number of properties which make them suitable for industrial applications. Diamonds are incredibly hard. On the Mohs scale of mineral hardness, they are defined as the hardest known natural material. The scale runs from 1 to 10, with 10 being the hardest, and diamonds rate a 10. The hardness of diamonds is well known, and has been throughout history. In fact, the very word ‘diamond? is taken from the Greek ‘adamas’ which means ‘unbreakable’. The hardness of diamonds makes them great for jewelry since they are unlikely to become scratched, but it makes them even more valuable for industry since they can cut most other surfaces without being damaged themselves. Diamonds are however not very tough. Toughness is a lot different than hardness. Toughness measures a substance’s ability to hold together against a forceful impact. Diamonds are there usually used for cutting and not for breaking, because they themselves break when subjected to the right pressures (ironically, given the origin of the name). Electrical conductivity. 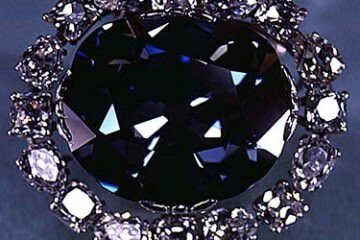 Blue diamonds are natural semiconductors, but most other types of diamonds are actually electrical insulators. As such, certain types of diamonds are used for insulating purposes in electrical components, while others are used for semiconductors. Why do blue diamonds conduct when other types of diamonds don’t? It turns out it’s because they acquire their blue color from boron impurities, and boron conducts electricity nicely. Since other colors of diamonds do not include boron, they do not conduct. Heat conductivity. Diamonds are also very good at conducting heat, which lends to even more industrial applications. Chemical stability. Diamonds seldom react with even strong acids or bases. They are incredibly hard to oxidize. While gemstone-grade diamonds used in jewelry are valued for the four C’s (cut, carat, clarity, and color), industrial-grade diamonds are prized for the qualities listed above, principally their hardness and their ability to conduct heat or electricity. There is an incredibly high demand for diamonds to use in tools. While the majority of diamonds mined in nature are used in industry, artificial diamonds are also created synthetically for industrial use. 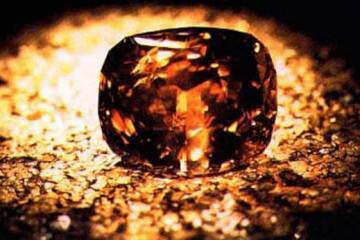 Around 570,000,000 carats worth! That adds up to 110,000 kg. Most diamonds in industry are used for cutting and grinding tools like drill bits and saws with diamond tips. The diamond tips render these tools capable of drilling and cutting through materials which they might otherwise not be able to impact. 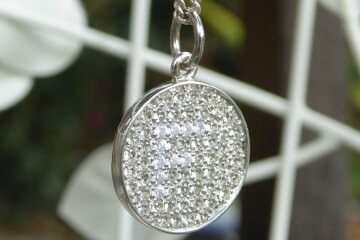 Diamonds are also ground down into powder which is used as an abrasive. Almost all of this grinding grit is synthetic in origin. Most industrial diamonds which are mined from the earth and which are clearly lacking in gemstone quality (the four Cs) are referred to as ‘bort’. They are largely opaque, making them undesirable for most jewelry applications. Less common and more specialized industrial applications take advantage of some of the other properties of diamonds. For example, a diamond anvil cell is a device used in high-pressure experiments which can recreate the conditions deep within a planet. Diamonds are also used to create high-performance bearings. Some are used as heat sinks in electronic circuits, because they are able to conduct heat so impressively. Blue diamonds which can conduct electricity may also serve as circuit components. Some diamonds are even used in semiconductors. 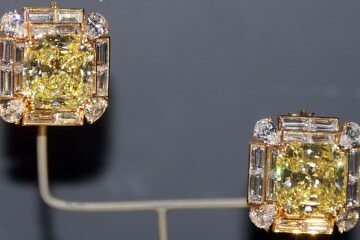 How do some diamonds end up being selected for industry while others go on to become diamond jewelry? There is no objective measure of the quality of a diamond. Issues of supply and demand can impact the value of any given stone. This means that a diamond that was considered gemstone quality one year might be considered an industrial quality stone the next. Very high- or very low-quality diamonds are easy to distinguish, but there is a nebulous gray area in the middle where there is some variation. The popularity of diamonds in jewelry is largely due to a big marketing push from the famous De Beers in the 1930s and 40s. Diamonds are indeed beautiful, but so are many other gemstones. The only real reason that ‘diamonds are forever’ in terms of jewelry is because it was a famous marketing slogan. 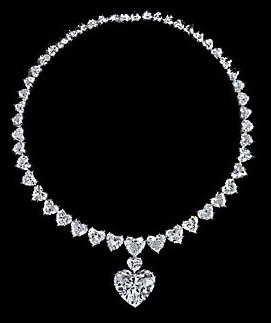 Nonetheless, diamonds have undeniable practical value in industry. Their incredible hardness makes them ideal for cutting other materials, and their value in circuitry will only grow in the years to come. Even though the phrase ‘diamonds are forever’ may have been a marketing invention, there’s no denying that it has some basis in reality. When you give someone special the gift of a diamond engagement ring, you are telling that person that your bond is as unbreakable as the diamond.